Your brain runs on one fuel – glucose. Carbohydrates, fats and proteins all provide the energy you need. After a meal, different foods are metabolized, or turned to energy, at different rates. Simple carbohydrates, like white flours, sugar, fruit juice, white rice and bread are very easily digested. These foods send a large, all-at-once rush of glucose through your bloodstream to your cells. In response, your pancreas goes into overdrive, secreting the insulin that allows glucose to enter your cells to be converted to energy. You feel a quick rush of energy, but just as quickly crash, leaving you tired, hungry and craving more sugary foods. Foods with fiber, healthy fat, and lean protein take longer to digest. They slowly, but steadily release glucose to your cells up to six hours after a meal. Your pancreas can slowly produce insulin, and glucose is absorbed at a steadier rate. You feel fuller, more alert and don’t experience the spikes and crashes associated with simple carbohydrates. Now that you know how your body converts food to energy, here are our top energy boosting and zapping foods. If you need yet another benefit of eating your fruits and veggies, try a major energy boost. 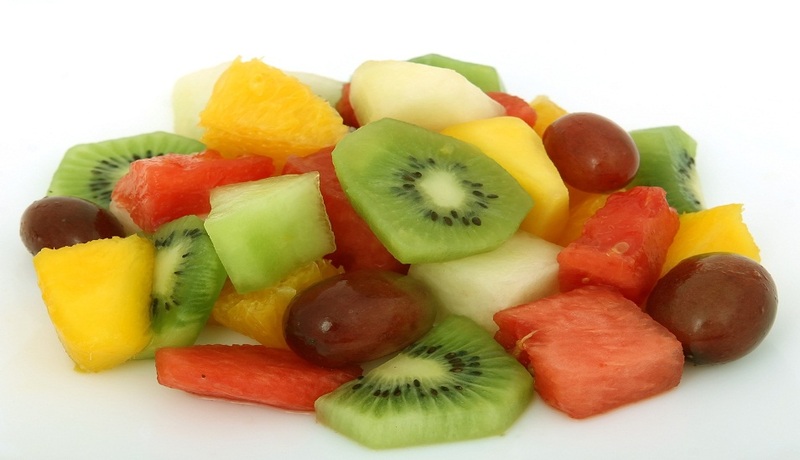 The antioxidants, vitamins, minerals and fiber in fruits and vegetables can supercharge your day. Lean protein provides energy and the amino acids your body needs to build muscle and function properly. Protein is digested slowly and provides a steady supply of energy. Healthy fats from avocadoes, olive oil, and the omega-3 found in fish not only supply energy, but can help combat fatigue-causing inflammation in your body. Nuts and seeds are great sources of healthy fats and protein, and are also high in magnesium. Magnesium is a nutrient essential to the breakdown of glucose to form energy. Eat 2-3 servings (should fit inside a CLOSED fist) per day. A small square of dark chocolate (12 grams is enough) contains a natural stimulant called theobromine, that is not only energy boosting, but may boost your mood, too. Cardamom, a seed used as spice responsible for the flavor of chai tea, and used to make curry, can also give you a quick energy boost. Add curry to lean meats, quinoa or beans for flavor or try a cup of hot, unsweetened chai tea. You don’t even have to eat it, but you should! Research shows that simply smelling freshly cut green apples can invigorate you. Sprinkle cinnamon on the apple for an even more powerful energy boost! Dehydration alone could be responsible for fatigue. We love unsweetened sparkling water on ice. Add lemon, a natural mood booster, for flavor and a feel-good kick. You may like the instant sugar rush you get from eating candy, breads, pastas, and fruit juice, but more than likely, you don’t like the crash that comes within 2 hours of meals or snacks high in simple sugars. Stick to meals and snacks that contain lean protein, colorful fruits and vegetables and healthy fats to keep your energy levels consistent. Caffeine in coffee will boost your energy, but drink too much and you may end up dehydrated and feeling fatigued. Keep your coffee intake to not more than 4 cups daily, and make sure to finish up your coffee drinking by mid-afternoon or earlier. You’ve heard that breakfast is the most important meal of the day, but make sure you’re eating the right thing in the morning. Avoid donuts, pop tarts, toast, cereals, and juice and you’ll avoid the mid-morning slump. Try protein, color and healthy fat instead! Red wine contains melatonin, a natural sleep inducer. Have a glass with dinner, but stick to one or two glasses.